Broad Form Insurance covers you to drive any car. Owned or Not. Perfect if you own several cars or if you frequently borrow other people’s cars and want to make sure you have insurance in case they don’t. Is your license suspended or revoked as the result of too many tickets, a DUI, or driving without insurance? If you are required to file an SR22 we can get if filed for you with the department of licensing. Satisfy your landlord & replace your property that is damaged by a fire or stolen. How much would you need to replace your electronics, clothing, furniture, etc. Love your bike? Insure your motorcycle from theft or vandalism, along with any liability or medical coverage that you would need after accident while riding your motorcycle. Traveling to Mexico? Get Mexican car insurance for a day, a week, or even a full year if you travel back and forth to Mexico frequently. 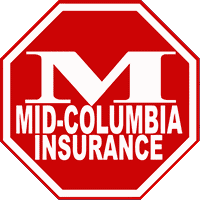 Mid-Columbia insurance did everything in their expertise to get me the best quotes from the best insurance companies around, even with my bad driving record Paul was able to get me a quote which was well with in my budget. Thank you so much Paul. Gary was extremely helpful, diligent and understanding with the quote and provided excellent customer service. I will continue our car insurance needs with him and reccomend you do too! Tired of taking the bus? We can help get your license back. Pulled over one too many times?